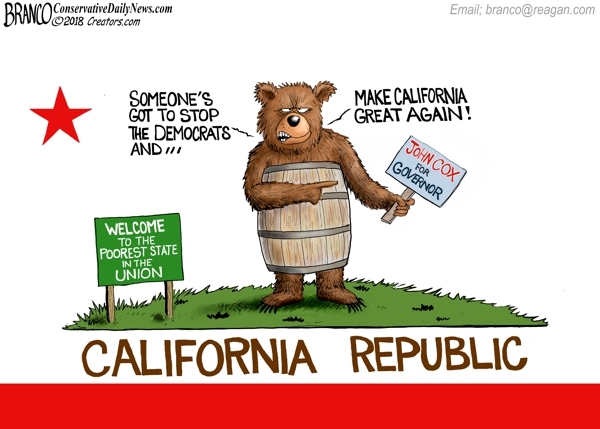 California is broke and in a horrible mess due to years of Democrats in power. Maybe it’s time to try John Cox Republican to clean up their mess. Political Cartoon by A.F. Branco ©2018.